Serboweb Review 2019: Is Serboweb a Good Hosting? Founded in 2000, Spain-based Serboweb offers domain registration, web hosting, web design, and email services to large and small businesses from servers located in the U.S. (Texas) and the U.K. They provide support in English and Spanish. You can only host one paid domain on your cPanel, and no add-on domains are provided on the shared plans. Serboweb supports a plethora of programming languages, including PHP, Perl, Python, and cURL. They also offer Apache, Ruby on Rails, and MySQL support. Although they don’t provide SSH access, you can do most tasks via cPanel. You can also set up Cron jobs for scheduled tasks, and you have phpMyAdmin access. Their hosting packages are not only for experts. 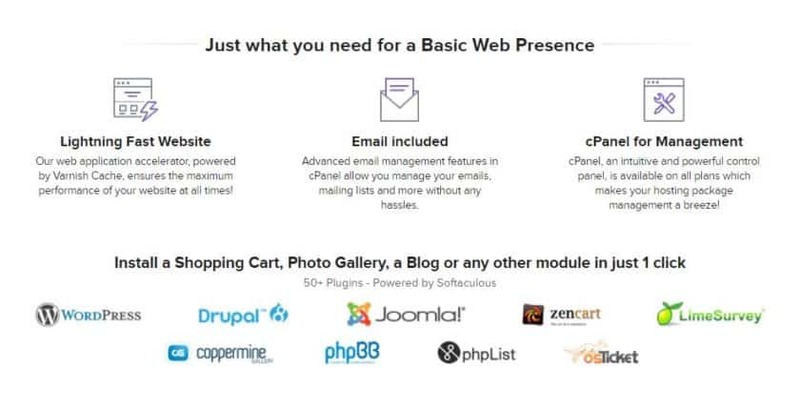 The Softaculous one-click installer is available for setting up shopping carts, a photo gallery, or a CMS such as WordPress, Joomla, or Drupal. Alternatively, you can choose one of the Website Builder plans that allow you to set up a website in minutes using the drag-and-drop interface and 175 themes. I also like the fact that they pay attention to security with their anti-spam and virus protection, and that they use Varnish Cache to accelerate websites and applications. Their knowledge base is very comprehensive. Serboweb’s shared Linux hosting is quite expensive, especially considering that they don’t offer free domains, add-on domains, or SSL certificates on any of their packages. Their VPS plans are more fairly priced. The best-priced plans are the Website Builder hosting plans that allow you to set up a website without paying for the services of experienced developers. Another good thing is that you can easily upgrade to another plan or higher package at any time when your website needs more resources. Although you can’t pay monthly, you can reduce your risk by taking advantage of their 30-day money-back guarantee which effectively allows you to take them for a test drive. Technical support is available via telephone, ticket, and email. My exploratory email received a response within minutes. Serboweb offers extensive features for businesses of all sizes. Their attention to security and their beginner-friendly tools make them an excellent choice for beginners and experts alike. The only downside for Windows fans is that their shared and VPS servers are limited to Linux. Wondering how Serboweb stacks up against other Web Hosting companies? Enter any other Web Hosting company and we will give you a side-by-side comparison.